There is nothing better than a beautiful fresh sandwich, but sometimes there just isn’t the time. Bread actually freezes very well and there are lots of options for sandwich fillings that freeze well. Yes, you can! Sandwiches actually freeze really well as long as you use the right ingredients and prepare them properly. 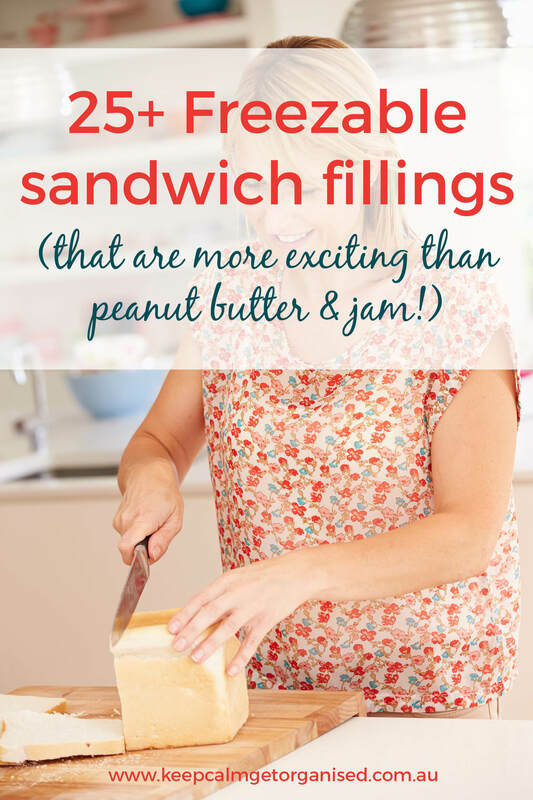 Certain fillings freeze better than others but you can freeze sandwiches without losing out of flavour. Freezing sandwiches for school lunch boxes is also ideal to keep them cool and fresh, and a great time saver if you do them all at the beginning of the week. Consider alternatives to bread such as tortillas or bagels. Make sure your bread is fresh. SUPER fresh! We freeze our bread every week, make sure you do it as soon as you buy it though. The state you freeze it in is how it will come out so don’t try to freeze bread that is starting to go stale. Defrost it either in the microwave for 10 seconds or in an airtight bag on the bench or in the fridge. 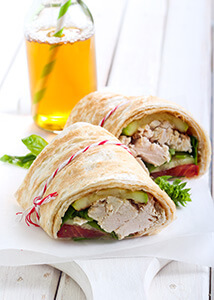 Wrap your sandwiches well in an air tight bag or cling film. Any gaps can allow freezer burn and drying out of the bread. Make sure you lay your sandwiches flat so that they freeze evenly. Consider freezing fillings separately to the bread and putting your sandwich together at work. You can top frozen bread with fillings and then place it back in the freezer. I find this works particularly well for any fillings that are somewhat “wet” as they don’t soak into the bread. Something that places a layer of fat between the bread and the filling will help your sandwich to stay fresh. Butter both pieces of bread to avoid moisture from fillings causing soggy bread. 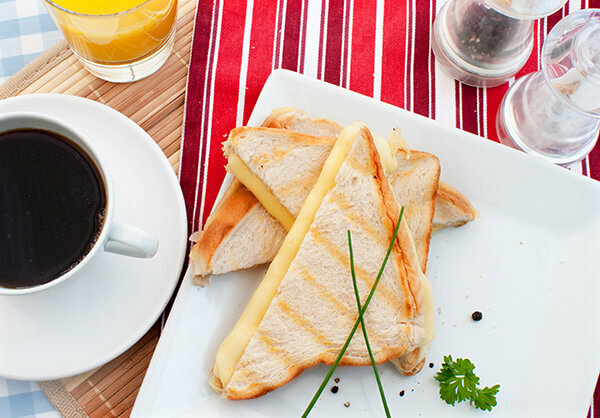 Avoid placing condiments directly against the bread as this is likely to make your sandwich go soggy. Consider tortillas or pita breads rather than regular sliced bread. They tend to freeze well. Pack salad and fresh ingredients into a little zip lock bag separately to add to your sandwich. Toasting sandwiches that have been frozen is a great option. Egg tends to go rubbery. Not top of my list of tasty freezable sandwich ideas! Really wet fillings. If it has a lot of moisture it will tend to go soggy when defrosted. You can freeze moist fillings but wrap them separately to the bread and then construct your sandwich once defrosted. Do you freeze sandwiches? What do you find works well? My Dad had cheese and vegemite sandwiches every single day for lunch, for about 40 years. He probably still does from time to time. I don’t like vegemite At. All. But thought you might like to know you’re not alone on this one. Mayo tends to split when frozen but cream cheese is a good alternative. Thank you for this! I haven’t ever tried freezing premade sandwiches, but it’s handy to know in case I ever need to. Oh there are some yummy suggestions here. I think I will really need to get pre organised and prepared once my Little Vick starts school next year. Mornings before kinder here are chaotic enough without the hassle of having to prepare a sandwich every morning. Yep I do the kids lunches like that! I had no idea that so many different fillings could be frozen. I like to freeze a weeks worth of sandwiches for Mr 5 so that school mornings are easier. I have been sticking to spreads though. Hi, Great list! I freeze egg and mayo sandwiches and they freeze really well! ☺ Also, bacon and egg on English muffins freeze beautifully…..just pop in the microwave when ready to eat. I’ve been crazing egg and mayo sandwiches lately, I should try freezing some! Does the egg taste ok? I’ve read it goes rubbery? This is the kind of sandwich I want to freeze. Thanks. HI Trish, I meant the spreadable Philadelphia style, I’m not sure how the Kraft style in a jar would go. If you try it, let me know! can you freeze mustard and Barbecue sauce on a meat sandwich? hi ,I want to start using tortilla wraps or pita bread for my kids lunch , do I take them out of the freezer the night before or in the morning before they pack lunch , they have been taking ham buns and we take them out of freezer the night before and move them to the fridge.